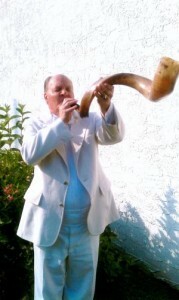 Apostle Patrick A. Kirk : Servant To The Servants: “For The Glory of God & For The Building up of the Bride of Christ in ALL Nations!” God wants His Kingdom People to be fully RESTORED to the Original, Divine Order for His Church today, back to the true FOUNDATION that Jesus Christ Himself laid and established in the 1st.Century Church AD! God has given us His Holy Mandate to sound the alarm in His requiring HIS Church & Ministries today to RETURN to the original Foundation of Jesus Christ with all Five Branches of the Five-Fold Ministry to be in place and be fully functional in accord with Ephesians 4:11-16; Eph. 1:1-23; & Romans 1:9-12! God is sending His Holy Spirit with His Great and Holy Fire to purify and to call HIS true Church today, back to the way it was in the Book of Acts with The Apostles; Prophets; Evangelists; Pastors; & Teachers, being fully FUNCTIONAL with each joint supplying as each Member has need as in Eph. 4:16! Those Churches/Ministries who embrace and allow the Five-Fold Ministry to function will prosper in the Blessings of God for His Kingdom! Those Churches/Ministries who refuse to return and to function in the Original, Divine Order of Jesus are already in raw rebellion against God & His Holy Mandate to function today as HE established The Church in the First-Century AD: and they will be in danger of Hell’s Fire! Rebellion is the beginning point for EVERY sin! Please read Proverbs 6:16-19! Jesus is the One and Only True SUPREME HEAD of His Church in EVERY generation! We operate in the full dimension of God’s signs; wonders; & miracles in demonstration by The Holy Spirit! God has me serving The Bride of Christ in four House Churches as Overseer and Apostle for Christ! REPENT, Beloved Bride of Christ, Your King and Judge is coming SOON!